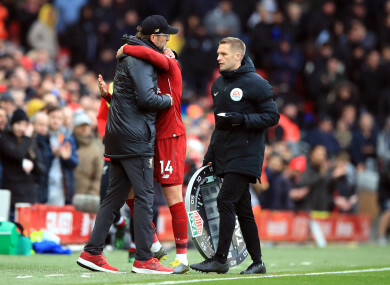 Klopp embraces Henderson after Liverpool's defeat of Chelsea on Sunday. Email “Klopp hails 'on fire' Liverpool captain Henderson”. Feedback on “Klopp hails 'on fire' Liverpool captain Henderson”.